Green-tint paper. Squares on both sides. Three-hole punched. 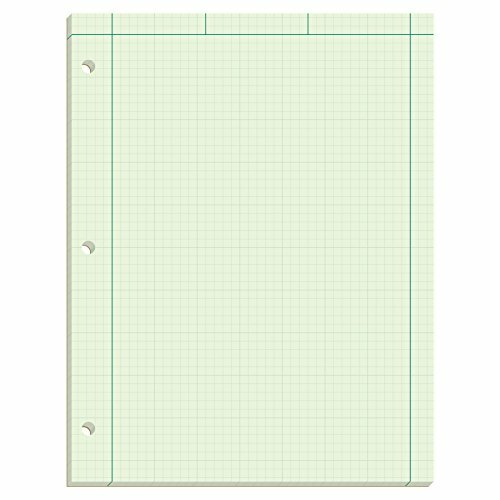 Global Product Type: Paper Pads/Note Pads-Quadrille; Pad Type: Quadrille; Sheet Size (W x H): 8 1/2 in x 11 in; Ruling Color(s): Green. 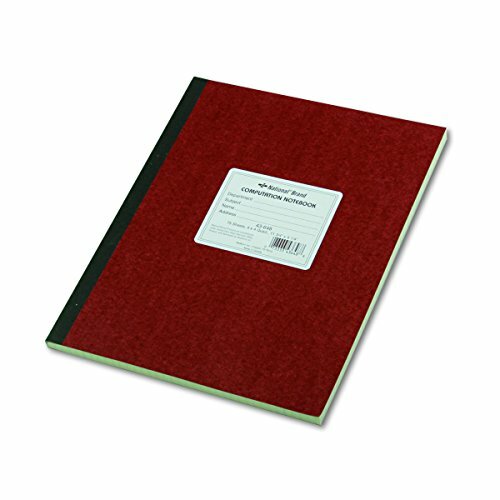 Spiral-bound engineering and science notebook. White rigid cover. 50 sheets. 4 x 4 quad ruled. White paper with blue ruling. Excellent pad for usage in engineering classes and labs. 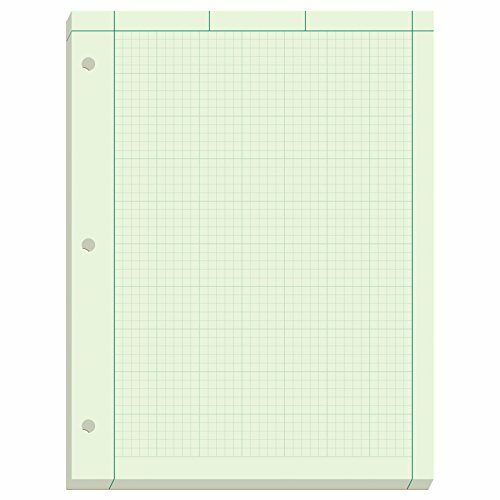 Smooth, green 15# writing paper is plain, except for printed outline box on top of sheet, and has 5 square/inch grid layout printed on back of sheet. Back grid shows through to front as dimensional guide for drawings and layouts. 34 pt chipboard backs add stability. Glued along 8.5" (top) edge and 3-hole punched to fit in standard 3-ring binders. Sheet size is 8.5" x 11". 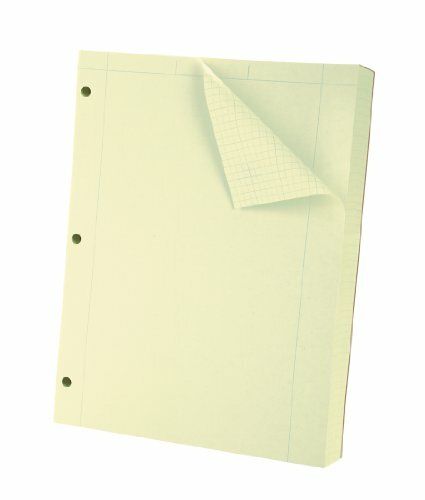 200 sheets per pad. Each pad is polywrapped. Since 1952, TOPS has provided quality products and services to businesses throughout the world. TOPS continues that commitment providing innovative, high quality value-added paper products for the office, school and home. TOPS Computation Pads are designed to make diagramming easier. These Computation Pads feature green tint color to help reduce glare and eyestrain. 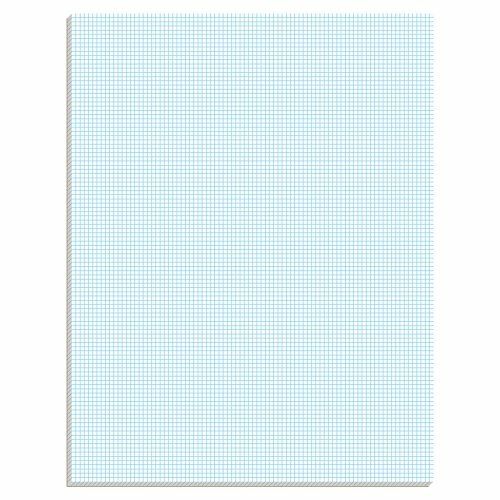 They contain 100 sheets with cross-section ruling (5 squares per inch) printed on the back to faintly show through to the front for guidance when writing or drawing. The front is printed with frame margins, and the pages are 3-hole punched on the left for easy binder insertion. Whether it's a multi-part form, notebooks, writing pads, record books, or any of the hundreds of items we offer, you can count on TOPS products to help! 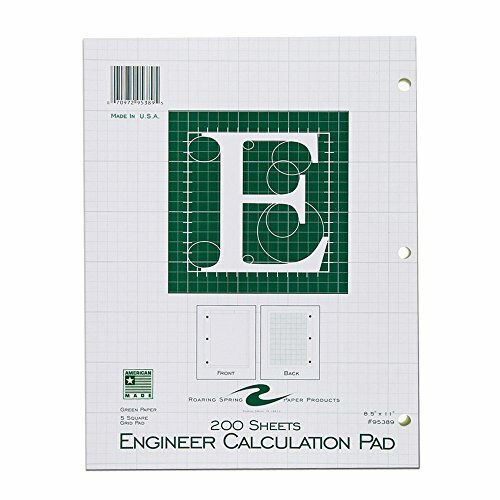 Computation pads are perfect for engineering and technical applications. Features greentint paper. Excellent pad for usage in engineering classes and labs. 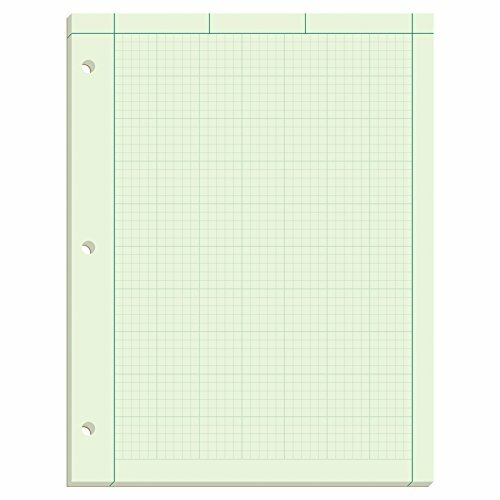 Smooth, green 15# writing paper is plain, except for printed outline box on top of sheet, and has 5 square/inch grid layout printed on back of sheet. Back grid shows through to front as dimensional guide for drawings and layouts. 34 pt chipboard backs add stability. Glued along 8.5" (top) edge and 3-hole punched to fit in standard 3-ring binders. Sheet size is 8.5" x 11". 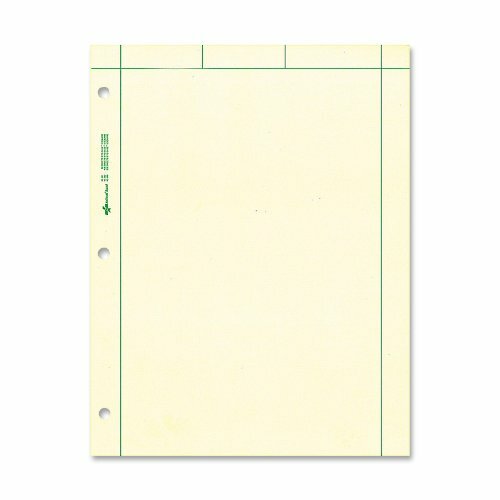 200 sheets per pad. Each pad is polywrapped. Proudly made in USA! 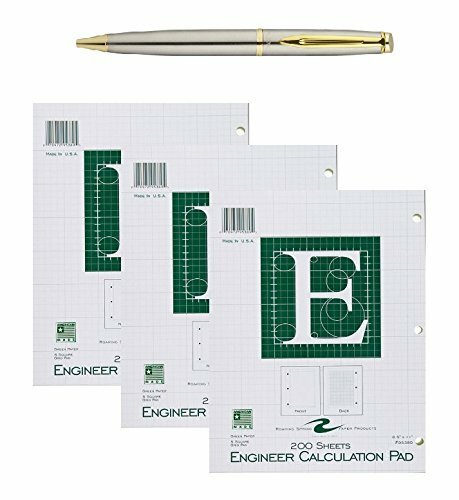 Compare prices on Engineering Computation Paper at ShoppinGent.com – use promo codes and coupons for best offers and deals. Start smart buying with ShoppinGent.com right now and choose your golden price on every purchase.